Click (Go to your account) in the top toolbar of any page. 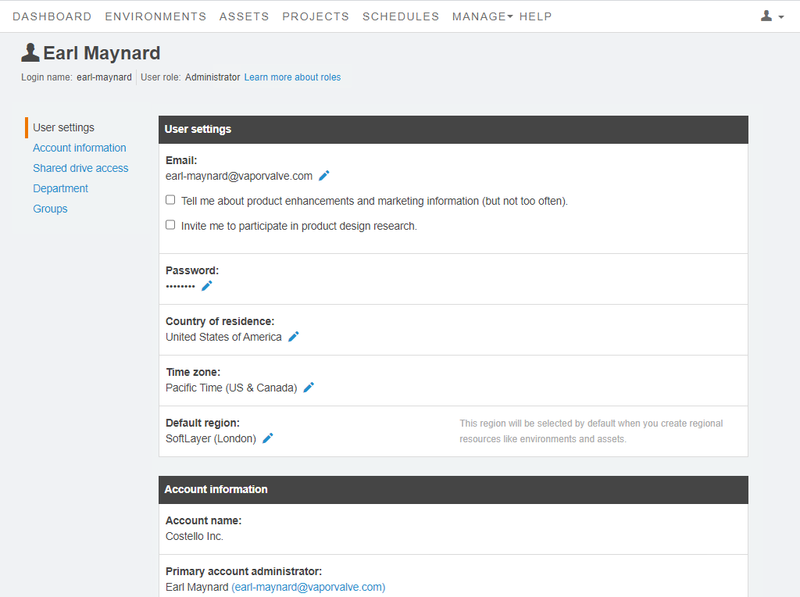 Your account page displays. 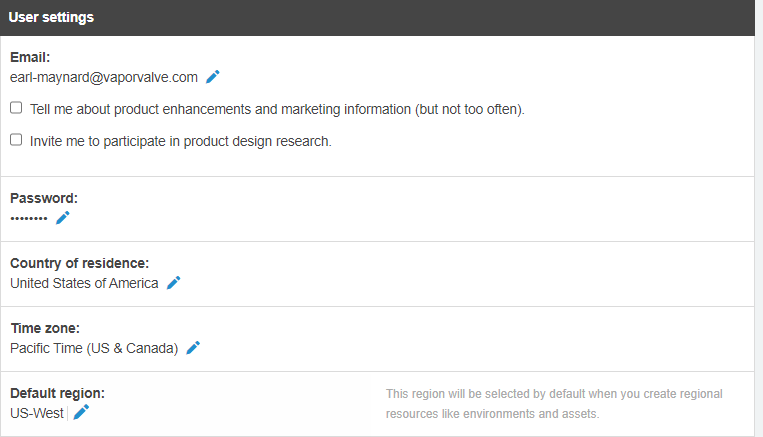 In the User settings section, click Manage your marketing email preferences to update your marketing email preferences. You will continue to receive emails from Skytap Cloud, including usage notification emails or emails when certain actions complete (for example: importing VMs, or copying an environment or template to another region).